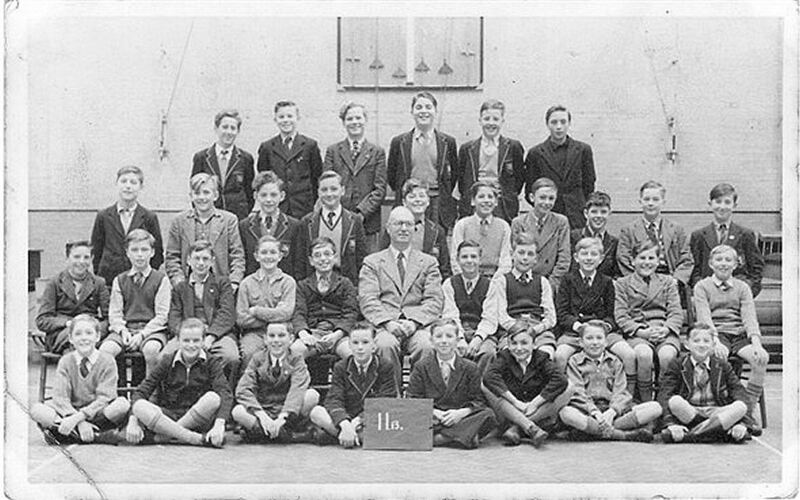 This is the only photo I have of my four years (1952 – 56) at Fawcett and these are the names that my old grey cells recall. Apologies if some names are incorrect and to those who I can’t recall. Hope some visitors to this site can fill in the missing names. I reckon it was a fine school and the masters certainly tried to teach the basics of all the main subjects. They were strict, but I don’t think it did me any harm at all. Was that Mr. Wards’ class? Can any ex Fawcett boys remember the house names and colours on the board behind the group. Fawcett and Godwin were the first and second, brown and red respectively I think. Was Pelham and Russell among the others? and was that young Mr.Sugerman from the previously mentioned “Rockos” of Queens Road? Fawcett houses: Fawcett = yellow. Godwin = red Pelham = mauve. Russell = green. Stanford = brown. Tettersall = blue. Did anyone know Mike Holland, a pupil attending Fawcett around this time? Hi Fred. I see you are on Facebook! Behind Mr Ward is Gerald Martin and on Mr Ward’s right arm is Alan? Goddard. Hi, is that Bernard Hill or Wally (Wallace) Hill in the second row of Mr. Ward’s class? Anybody remember us? We migrated to Australia in 1970, so over the years my thoughts and memories of my school days in Brighton faded to just about zero. So it was just by chance that I recently stumbled on this site. Thank you so much Fred for your private photograph. My word, it certainly brought a rush of lost memories to me, some good, some not so good – by today’s standards some of the disciplining methods that were meted out to us would cause the law to have a fit. Wel,l I hope that all the guys in the photo are still in good health, and once again thank you all for all the memories. On a slightly sour note I notice on the board that Pelham is bringing up the rear as usual. Oh well, can’t be good at everything (anything?)! All the best from down under.